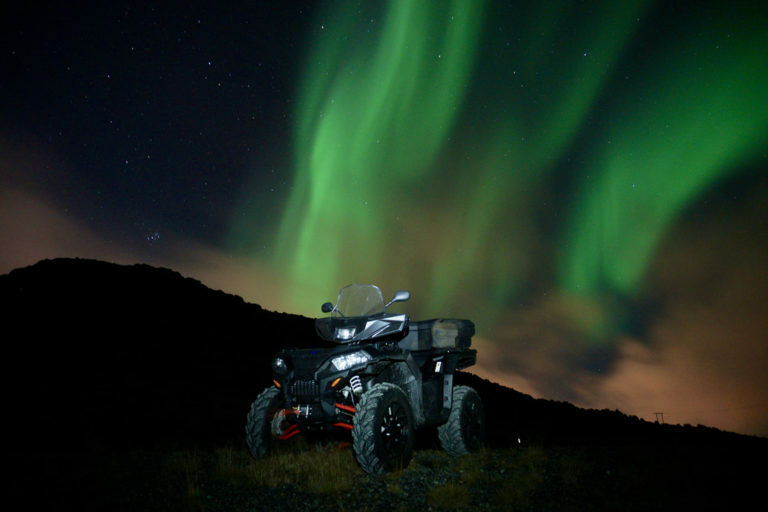 This exciting Northern Lights safari into the wilderness is by ATV! 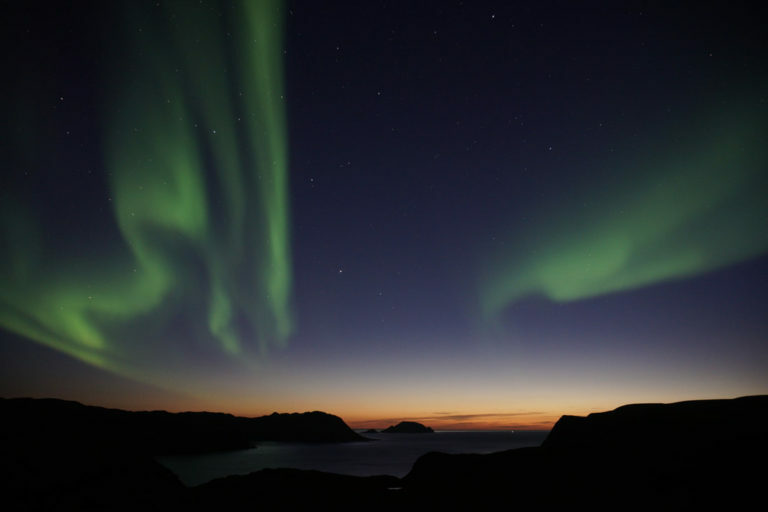 Your tour begins in the centre of Honningsvåg in the far Northern reaches of Norway and takes you high into the mountains overlooking the amazing ocean, fjords and the Arctic landscapes of Magerøya Island. 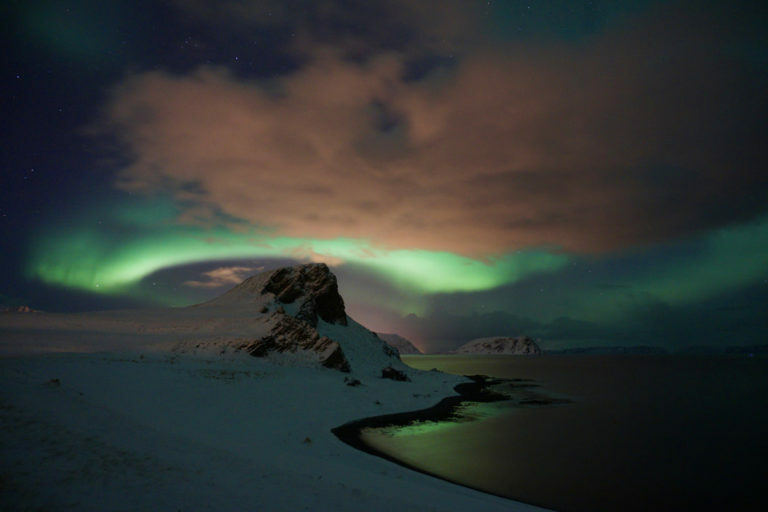 You will head far away from any light pollution and witness the amazing Aurora in complete darkness, making for a spectacular addition to your Northern Lights holidays. 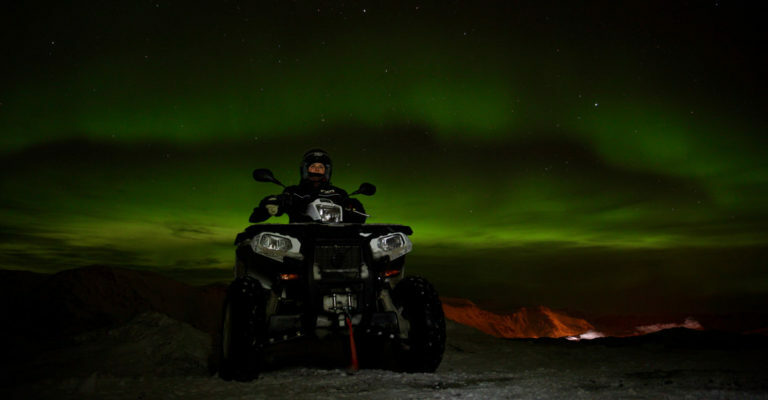 Your ATV is fully equipped for winter driving conditions with studded snow tyres and included in this tour is thermal clothing, helmet and gloves. Typically this tour is driving in pairs however you can also opt to drive solo if you prefer. Itineraries to Inspire- Coming soon!